The “open house” has long been a tradition in real estate. Each weekend across the country, hordes of agents put up their A-frame signs and point buyers in the direction of open houses. Meanwhile, buyers with all kinds of motivations stream in and out of these homes — from those just tipping their toes into the water to those who are on the hunt, making offers and ready to buy. Buyers just getting started on the circuit may be confused about how to approach an open house. What do you need to know in advance? How should you prepare? What should you say — and not say? Here are five tips for the best ways to approach an open house. If you’re scouring listings on your iPad while drinking your Sunday coffee, the sheer volume of open houses will probably overwhelm you. Don’t let it. For now, focus on the area where you think you want to buy. If you like a certain part of town, this will give you a chance to know it better. See what you can get for the money there. Don’t get distracted or pulled in all kinds of directions. Start with what you know. It will help you lay the groundwork for a successful house hunt. If you’re pre-approved to buy a home in the $350,000 range, you’re wasting your time looking at $750,000 properties. But it makes sense to look upward to the $400,000 range as well as down at $275,000. Knowing what you can get above and below your target range will be informative. If you know that for $50,000 less you would be on a busier street, then you’ll appreciate the older home for $350,000 on a cul-de-sac. Or you might see a home that costs $50,000 more than your $350,000 target, but it has a newly renovated kitchen or bath. You still can’t afford it, but if you want to live in that same neighborhood, you might realize you’ll have to settle for a home that needs some renovation. Finally, homes priced higher than your budget can easily get reduced down to your range. And, especially in tight markets, those priced lower could get bid up right into your range. You may be a serious buyer, but you’re new to the market and haven’t seen enough to know how to react to a particular home, its price or how it shows. Chances are, there are more experienced buyers at the open house whodo know. They can tell right off the bat if the home is overpriced, underpriced or something else. Are people walking in and walking out without much consideration? Not a good sign. Are buyers hovering around the agent asking all kinds of questions about the home? Chances are, it’s a new listing and priced well. Prospective buyers aren’t going to waste their time hanging around a listing, checking out the closet space, garage and the backyard, if they feel the price isn’t realistic. By the way: While you’re checking out who’s at the open house, a good agent is doing the same thing. He or she will watch people coming through the door to help gauge the market’s response to the home. The agent at an open house may be the agent who represents the seller or another agent standing in for the listing agent. They may be trying to meet new buyers. Either way, this person is in the market and likely knows a lot about the house or the neighborhood. Many buyers have met their agents at an open house early in the sales process. This is a breeding ground for long-term buyer/agent relationships. If the agent seems knowledgeable or you connect with him or her, go with it. You’ll want someone on your side, an advocate for you once you get serious in the market. Use the open house as a way to interview agents who might represent you as a buyer. On the other hand, while it may be polite, you don’t have to introduce yourself to the agent or even mention that you’re just getting started in the market. You also shouldn’t be forced to provide contact information. If you don’t wish to give it out, just provide your name and politely decline to offer further details. Days on market, or DOM, is the telltale sign of how a particular listing is faring in the marketplace. If you see a home priced a little higher than what you can afford but its DOM is at 100, chances are that home won’t be selling at its list price. While everyone else is getting caught up in the excitement of an underpriced property nearby, the home with a significant DOM may be an even better opportunity. Go to this open house and check out the activity. If the place is empty, engage the agent and see how they respond. If it’s been on the market for a while, they would be open to convincing a buyer to negotiate. There also may be a history to the listing that you wouldn’t get from looking online. Maybe it had a contract early on and fell apart? Maybe the seller has already relocated and is open to a lower offer, but just won’t reduce the price? You won’t know until you engage. 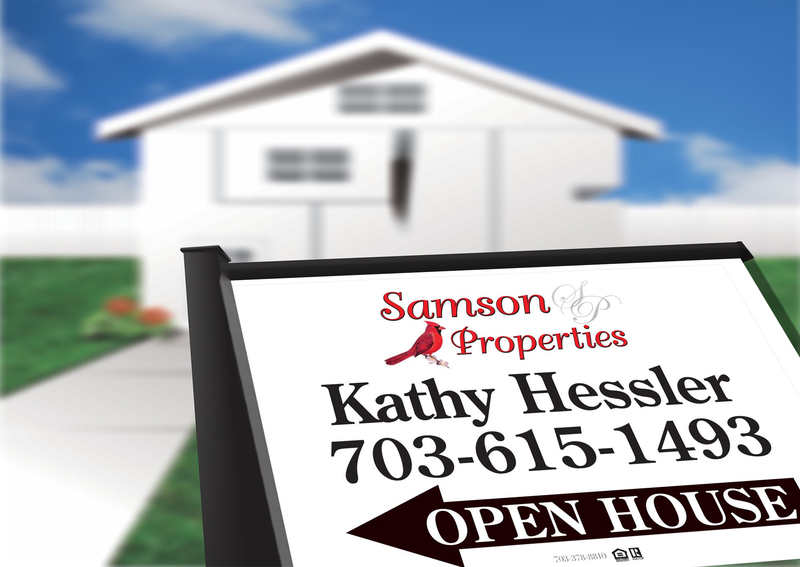 Going to open houses will take a lot of time and energy. You might visit dozens of homes you don’t like before you realize what youdo like. That’s the way it works. So take your time. Use the open houses as opportunities to learn the market, gather data, find a good agent and build up a knowledge base for your future home purchase.